January 22, 2016 Download "AUGS Now"
AUGS is proud to highlight the contributions of individuals who have been a member of AUGS for 20 or more years. 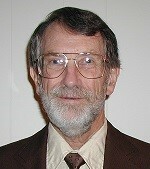 Donald Ostergard has been an active member of AUGS for 36 years. Ostergard was a founding member and has served on the Board of Directors as Secretary/Treasurer, Vice President, President, and Past President. He has missed only one AUGS meeting since its founding, and encourages other members to attend the meetings to stay up to date in the field of FPMRS. Click here to view Donald Ostergard’s complete Membership Spotlight. Click here to access the Keynote Presentations now. Do You Have a Coding and Reimbursement Question? The AUGS Coding and Reimbursement Committee assists members with the application of governmental regulations and guidelines regarding terminology and CPT/ICD coding in urogynecologic practice. The AUGS Coding Q&A is a forum for member questions to be answered by the AUGS Coding Subcommittee. Questions may be submitted to the Subcommittee by using this link. Past questions may also be viewed in Archived Questions. Patient factors associated with onabotulinum toxin A treatment outcome in women with detrusor overactivity.